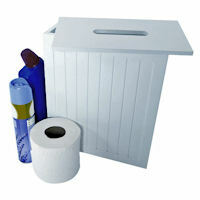 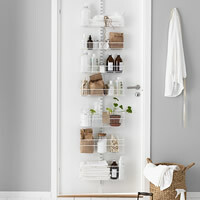 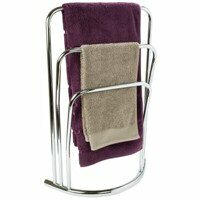 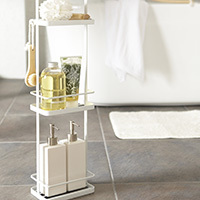 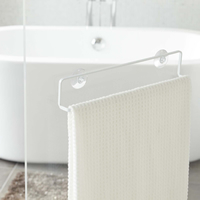 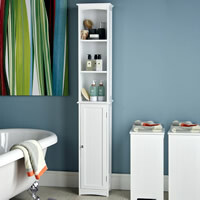 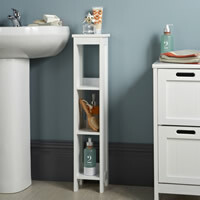 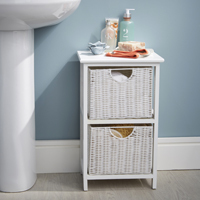 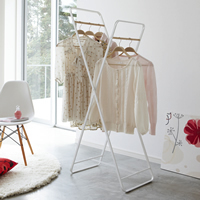 Our new stylish white metal and wood towel rail is sure to make a useful addition to any bathroom or en suite. 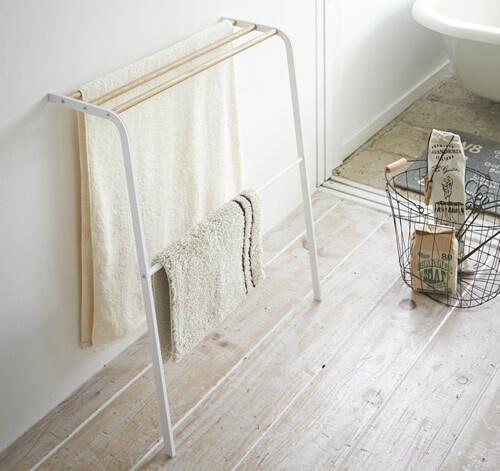 The rail leans against the wall so there's no need for drilling and there's plenty of storage space for 3 large bath towels plus a handy lower rail for drying soggy bath mats etc. 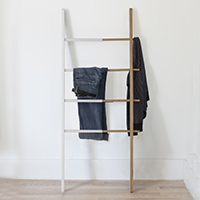 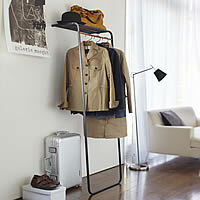 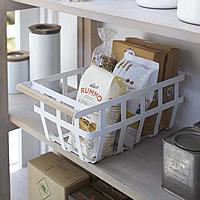 Another stylish solution from our clever designer friends at Yamazaki Homewares in Japan.